Let’s back up a bit. 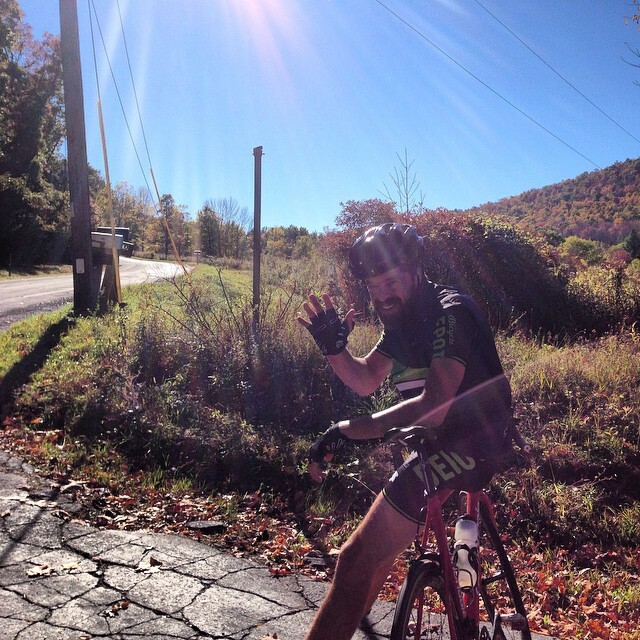 Last year my friend and teammate Larry thought up a ride that would do almost every climb along the Shawangunk Ridge, totaling over 10,000 feet of climbing. 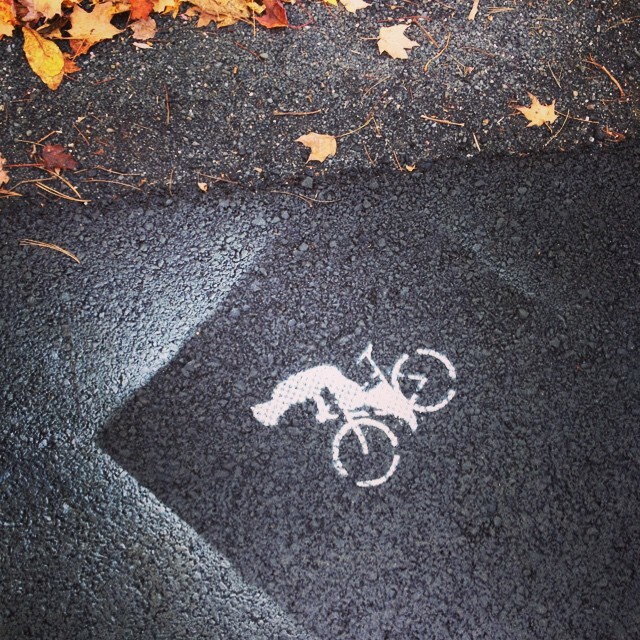 In my memory, I was involved in the very first spark of the idea, maybe during an on-bike conversation with Larry. But I think that’s just how memory works. 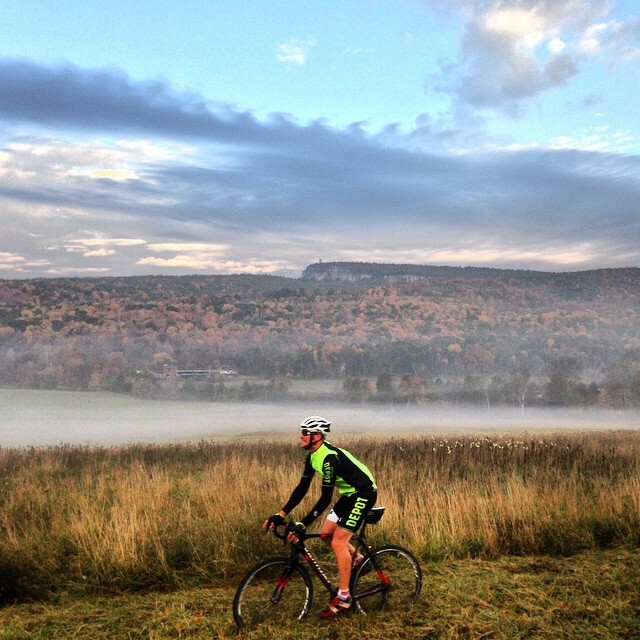 Ten years from now, when the Gunks 10,000 is bigger than Burning Man, there will be hundreds of cyclists who were part of the original conversation that birthed the Gunks 10,000, and thousands of cyclists who participated in the very first incarnation of the ride. 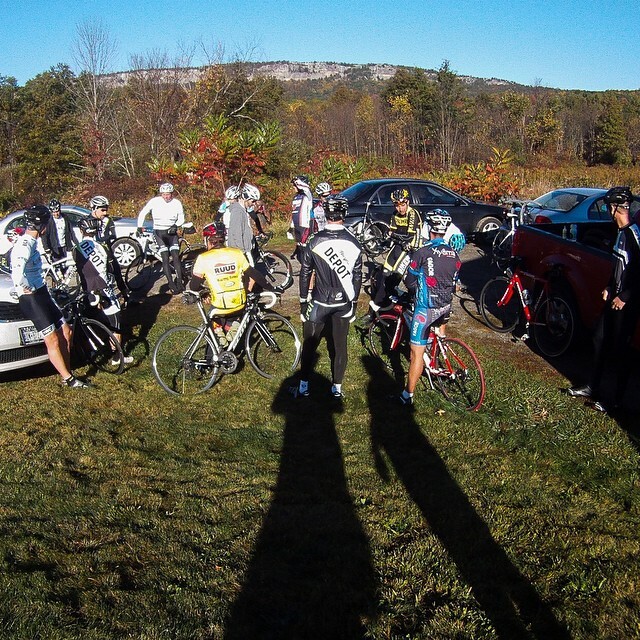 In fact, in 2013, only 6 cyclists were there for the first Gunks 10,000 (or “G10K” as those of us in the inner circle, friends of Larry (FOLs), call it). I wasn’t one of them, although I did go to Larry’s house for beer afterwards. This year was different. 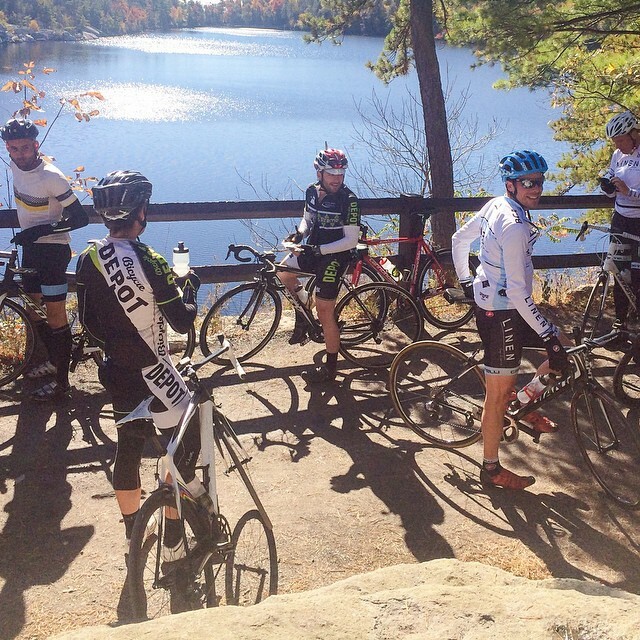 Last Sunday was the second annual Gunks 10K, and 24 cyclists showed up. The day was perfect, the route was gorgeous, and the event went off perfectly. It had the distinct feel of something that could become a much bigger event in the future, if Larry decides he wants to go that direction. The expectation at the start was that the ride would split into two groups: one racing, and one at Sunday-ride pace. On the first big climb of the day, a 2-mile 8% classic just a few minutes into the ride, it became clear that just about everybody had come to race. Despite my intention of keeping my own effort throttled down to a level I thought I could sustain for 6 or 7 hours, adrenaline got the better of me, and I put down a personal best on the climb. Pathetically, that personal best was demolished by over half the riders, with the fastest guys beating me by almost 2 minutes. The day went on like that. 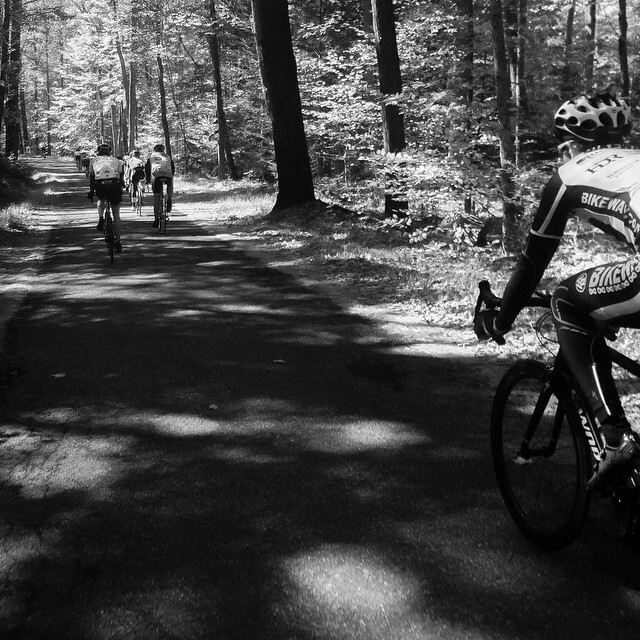 The fastest 5 cyclists were all legitimate climbing specialists, including, as it turns out, two former Tour of the Catskills GC winners, and a former New York state masters road race champion. And this despite the fact that Bicycle Depot, my own team — the home team — had two of our best climbers cancel at the last minute, one with the flu, and one with a hamstring injury. While the skinny guys duked it out at the front, the rest of us settled into our own grooves and enjoyed the beautiful day. Larry and I started our own little competition with one another, which would end with him beating me by 6 seconds out of 2 hours of timed climbing. By the time the 6 1/2 hour ride was over, Jonas from Brooklyn had opened a 22 second gap over his buddy Pablo, to claim a permanently engraved spot on the Gunky Chunk, the handmade conglomerate-and-steel trophy. Larry and I were 18 minutes back, right about midpack; the slowest finishing time of all was only 36 minutes back, which is really not much, considering the epicness of the event. I predict Larry will be turning people away at the next G10K. That was last Sunday. Yesterday I rode with a friend up to the groundbreaking for the Kingston Point rail trail. 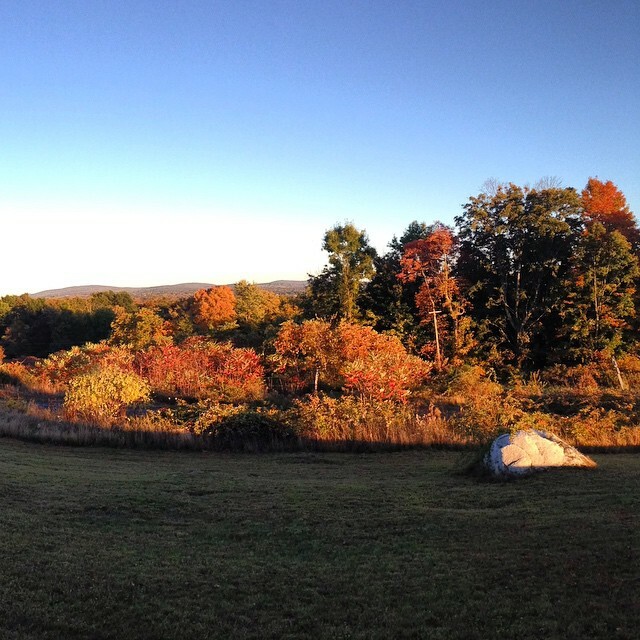 Ulster County has an ambitious plan to connect all of the various defunct rail lines into a network of multi-use rail trails, with a hub in Kingston. Some pieces of the puzzle are farther in the future than others, but there is real progress happening. This will be a Good Thing. On the way home I had to stop to photograph this ridiculous Mount Doom sunset. 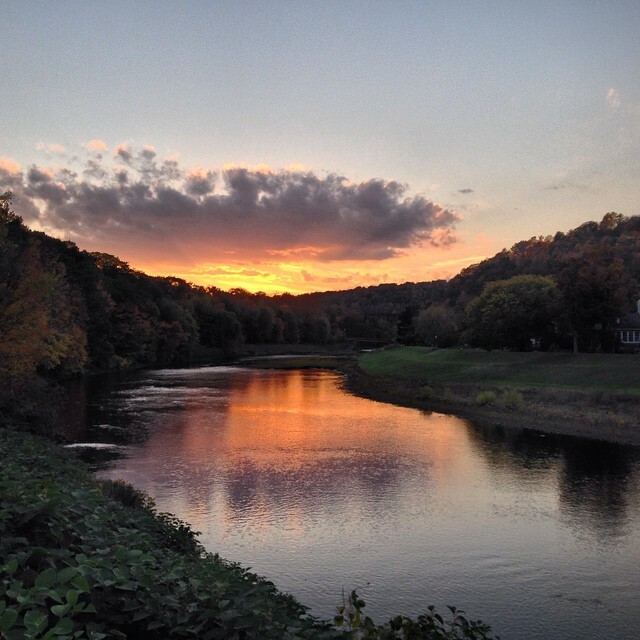 Sunset over the Rondout Creek. 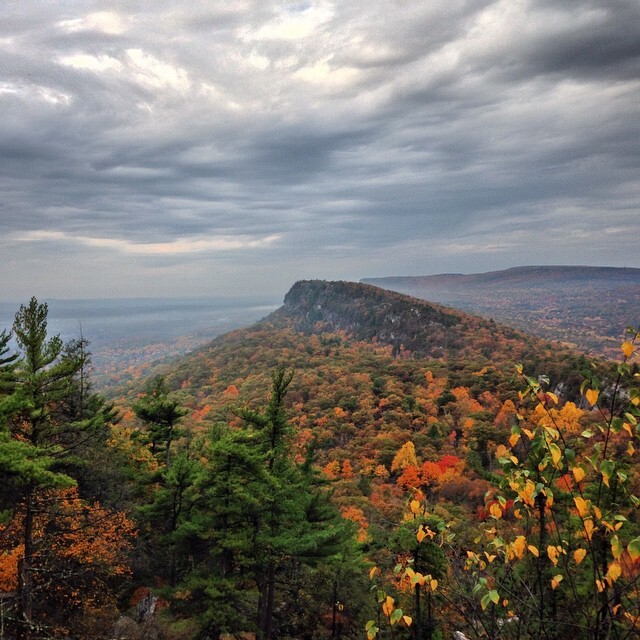 This entry was posted in bicycle racing, bicycles, bicycles routes rides, Gunks, New Paltz, race reports, rides, routes, Shawangunk cycling, Worth the trip on October 18, 2014 by John Schwartz.